Normally, I wouldn't do a red carpet round up, buuuuut, I was way too obsessed with so many looks from last nights Oscars that I just had to share some of my faves!! If you follow me on twitter (@JesskaDenise) then you will have experienced all the anguish of my live tweets. Red carpet season is my favourite time of year, TV wise, that is. Note how I didn't say 'award season', I could care less about who wins what, it's all some kind of weird Hollywood politics that I don't really understand and if you're not Leonardo, does it really matter if you win anything? Reallllyyyyyyy?? Anyway, onto the dresses, I narrowed it down to 6 of my faves. I was going to do more (yes, there were more, Margot Robbie) but I restrained myself and even left out who I thought was worst dressed *cough* Gwyneth *cough*. Dakota Johnson looking absolutely FLAWLUSS in Saint Laurent. When I first saw her arrive on the red carpet, I wasn't too sure about her look, but ughh the more I saw, the more I L O V E D. Who knew a simple ponytail, basic makeup and a single jeweled strap could be so show stopping? I've never paid much attention to Anna Kendrick's red carpet style before, she usually plays it pretty safe with a lot of blacks and off white shades. I know a lot of people hated this Jenny Packham dress but I think she looked pretty damn elegant and it complimented her pale skin tone so well. I also adored how she matched her lippie to the dress. Giulianaaaaa in Steven Khalil - it's not a red carpet without Giuliana Rancic, she's been pulling out all the stops this season and I'm so so happy that she's toned down the platinum blonde hair. It was so harsh against her skin tone, her new balayage lob is TDF. Reese Witherspoon - I don't have much to say really. Elle Woods. It trended on Twitter. I love the monochrome, I love the black detail around the waist, I love how it creates the perfect hourglass figure and flares out at the bottom, the minimalist jewelry and the soft hair, I could go on. How does she always look so put together yet effortless at the same time?!?!??! I feel like I waited the whole night for Emma Stone to get on the red carpet and when she did, she didn't disappoint. I saw a few tweets before her arrival saying she was going to be wearing Elie Saab and I died. Emma and Elie Saab is a dream. Elie Saab in general is just a dream but ahh, Emma (and Taylor Swift) is my go to girl for red carpet glam, she NEVER disappoints, like ever. The color of the dress also really stood out, I feel like no one else was rocking this kind of shade?? Zendaya came out of no where for me, she wasn't even on my radar but she really had a moment and I just love how this Vivienne Westwood dress drapes below the shoulder, just a little bit of skin, not too much. Still looking fun and fresh considering how young she is. The hair really tied it all together. Soooo there's my 6 faves and my thoughts. I had more thought's but they wouldn't be legible really 'asdfghjkl' for example doesn't really translate well when describing a red carpet look does it? It's worth noting that I was going to squeeze in Ansel Elgort and Eddie Redmayne because like the rest of the internet, I think it's pretty comical that they both rocked up to the Oscars in suits that were nearing on identical. Even if one was Prada and the other McQueen, 10 points if you know who was wearing who. Adam Levine was also another fav for obvious reasons but you can satisfy any Maroon 5 love with a quick google search. 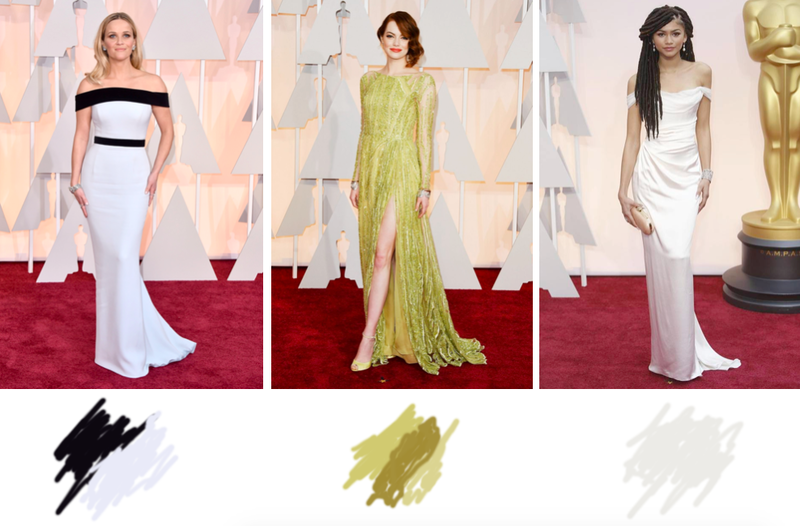 Who were your faves from the Oscars 2015? Comment below, I must know your thoughts. Great post ! I totally agree with u. 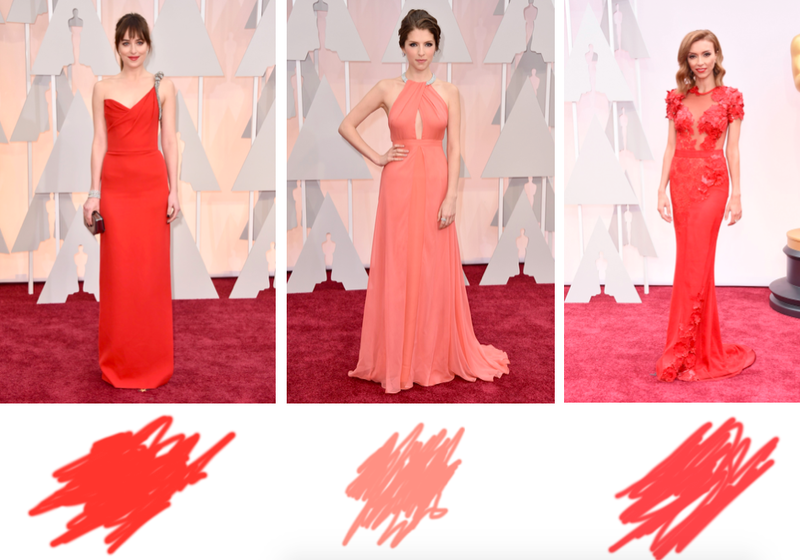 All of these women looked beautiful last night at the oscars. My top three favorites of the night where Jennifer Lopez stunning dress ! Lopez Aniston how amazing was that dress ? And of course Jennifer Aniston she always looks stunning . Loved Anna Faris and Margot Robbie - her makeup was stunning.